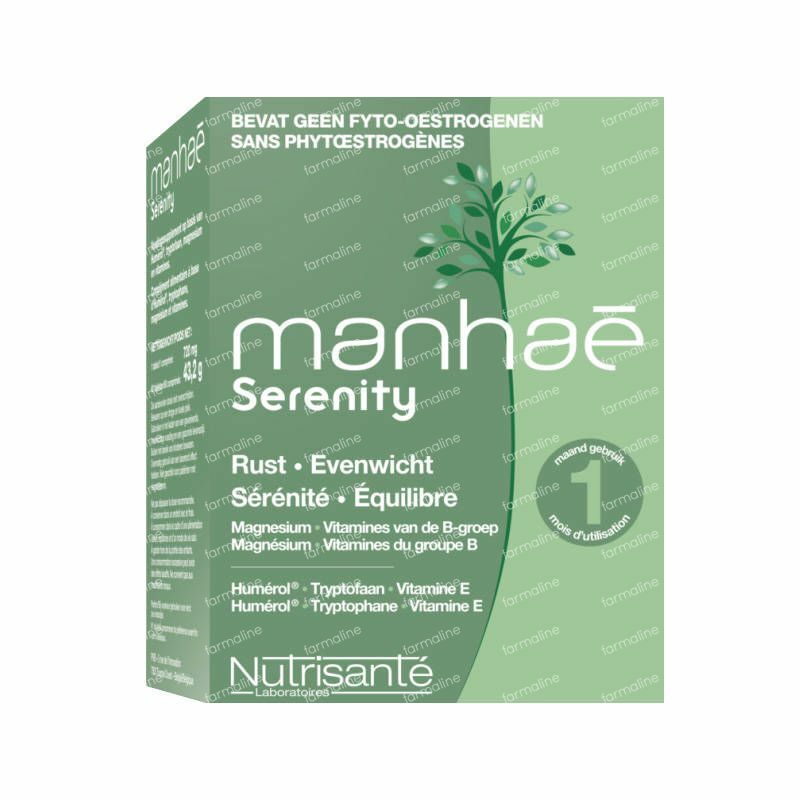 Nutrisante Manhae Serenity 60 tablets order online. Helps you to control mood swings and stress, for an energetic, yet calm feeling. A bad feeling, sadness, fatigue. An emotional, irritablefeeling. Mild sleeping problems. 2 tablets per day: one at breakfast, one at supper. Precursor of serotonin, a neurotransmitter that is involved in the regulation of mood and stress. Support the proper functioning of the central nervous system. Help to make psychological functions work normally. • The Humérol® complex of phospholipids of natural origin, from eggs. These fats are an integral part of the neuronal membranes. An in vivo study (1) shows that phospholipids contribute to normalize the secretion of melatonin - the 'sleep hormone' -. 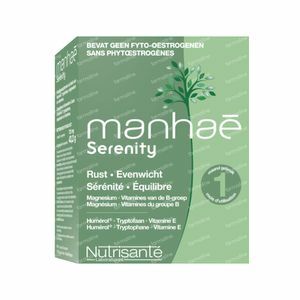 Helps to protect the cells against oxidative stress, a process that can affect the integrity of cell membranes.